If you’re running a customer-facing business, making sure you have a happy relationship with your clients is vital for a smooth operation. Regardless of how good your product or service is, some will inevitably need an extra bit of help from time to time, and using live chat can help you deal with them effectively. 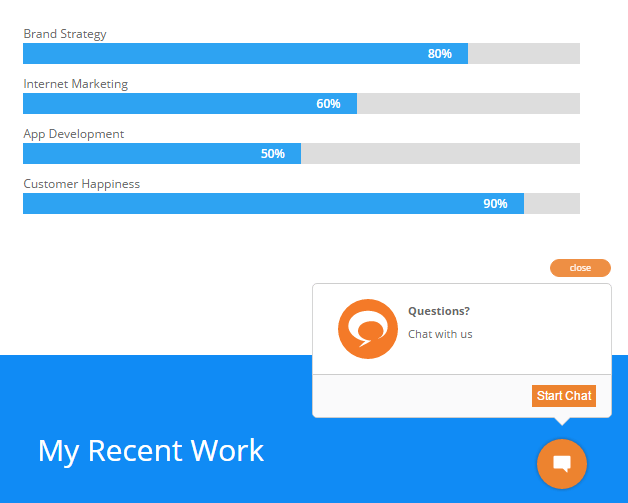 In a nutshell, live chat enables you to provide a better level of customer support. What’s more, it can also help your visitors feel more engaged since they know you’re just a click away. In this article, we’ll get to know the excellent WP Live Chat Support plugin, how to set it up, and how to operate it. Let’s get busy! The WP Live Chat Support plugin enables you to communicate with your clients and visitors via chat, with very little setup necessary. It boasts an easy-to-use interface for both users and agents, and it even enables you to save your conversations. That way, you’ll be able to reference old chats and help users more efficiently. What’s more, it plays incredibly well with Divi, and we encountered no issues during testing. In this article, we’ll focus on WP Live Chat Support’s free version, but there’s also a premium version available. The plugin’s free version is more than powerful enough for small to medium sites, and – in our opinion – it might not be worth upgrading until you reach the point where you need more than one agent. Before we move on, it’s worth noting we’ve covered other WordPress live chat alternatives in the past, such as Zendesk Chat. However, we decided to go with WP Live Chat Support for this piece since it’s one of the most comprehensive options that doesn’t rely on a third-party platform. Supports an unlimited number of simultaneous live chats. Provides agents with detailed visitor information. Records conversations for record-keeping purposes. Offers a fully customizable live chat box. Notifies agents whenever a user begins a conversation. Most of you are probably capable of installing WordPress plugins in your sleep, so we’ll skip right over that step. However, do remember to back up your WordPress installation before diving in using a solution such as UpdraftPlus – after all, you’ll be thankful for it if the worst happens! As soon as you enable the WP Live Chat Support plugin, two things will happen: a small live chat box will appear on your website, and a new tab will be added to your WordPress dashboard. Before we play with the former, let’s explore the latter. Most of the options here are fairly straightforward. 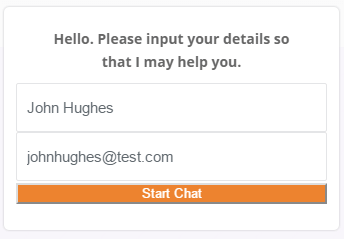 You can choose to disable live chat, select whether users should provide contact information (which is always a good idea), and the message your input field should include. Other advanced settings include the option to see user details if they’re logged in, the ability to record IP addresses, and the option to play a notification when someone sends a new message. All of these options are on by default, and there’s no harm in keeping them enabled. Most importantly, keep an eye out for the option to enable live chat on mobile devices. Smartphones are a burgeoning source of traffic nowadays, so disabling this option may hinder your customer relationships. For this feature to work, your WordPress site should already be configured to work with Google Analytics. If you’re unsure how to do this, there are several methods to get you there. Pick the one you’re most comfortable with, then enable the corresponding option in the General Settings tab for WP Live Chat Support. Moving on, click on the Chat Box tab right below General Settings. This section includes a variety of customization settings – several of these are only available for premium users, but the basic options are still suitable. The plugin can also be configured to display users avatars and usernames if they’re logged in, which can be useful if you need to follow up at a later date. You can also disable live chat for users who aren’t logged in. However, we’d recommend against since you want to reach as many potential clients as possible. 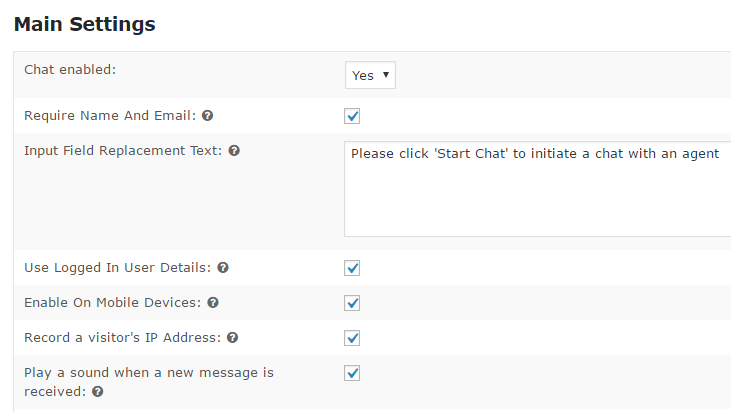 Aside from these settings, WP Live Chat Support also enables you to receive messages while offline. The process is as simple as it sounds – if you aren’t online when a customer sends a query, you’ll get a notification as soon as you return to the dashboard. Once they click on Start Chat, the plugin will notify you there’s a user waiting for your reply. If you enabled the option to play a notification sound under General Settings, be warned – it can get very loud. The plugin will also request your permission to send you browser notifications once you receive your first message. Congratulations, you enabled live chat on your WordPress site! Keeping your guests happy should always be a priority. Usable contact forms and thorough documentation can go a long way towards enabling users to help themselves, but both of these options lack the personal touch of live chat. Install the plugin and configure your general settings. Begin chatting with your customers! Do you think live chat is a valid way to increase visitor engagement? Subscribe and share your thoughts with us in the comments section below! If you haven’t already, you guys gotta check out tawk.to. It has more features than any other chat app and is free, even more features than many premium chat apps that have a high monthly cost. You can have multiple agents as well at no cost. Ok, I sound like a sales person, but I’m just a very happy user and loved it way better than WP Live chat which actually did not work for my site and the company was of no help. I can only strongly agree – Tawk is g r e a t.
Using tawk for my ecomm site too! Best live chat imho! I was wondering who would mention tawk in the comment section. I just went through the blog tutorial and setup WP Live Chat and tested it. It was so-so, but everything required paying for every little functionality addon. Then at your recommendation here, I installed Tawk.to – and it’s phenomenal! I’m picky about logical and functional layout and this is awesome 🙂 Thanks for sharing!! I really like to use the WordPress Live Chat Plugin. It can be found in Envato Market. It is a really nice plugin, $18 to use in unlimited products. Is there an app for it well? I’d like to get notifications on my phone when a chat comes in. Do you have to be logged in to WP to be ‘online’? And can you respond on your smartphone as well or only in de backend of your site? We’re looking for a live chat plugin to use on our webshop, being a webshop we’re not logged in all the time plus not available all the time either. Just checked out their site. They have both IOS and Android apps in Beta at the moment. It’s free, powerful and quite better than the one mentioned here. For me even better than Zendesk Chat. Thanks for the article. What’s the chat plugin used on the main elegantthemes.com website? Or is it custom build from scratch? It’s not actually a plugin but a service called Intercom. This is an excellent resource. Thanks for going into more details about the plugin and its setup, John! Has anyone tried appear.in for video chat? Works both on PC’s and mobile devices. Has anyone found a way to integrate this into their website, where you can use it to support folks? Steve, appear.in is a very good video chat tool. In our tests, we found no buffer or lag, it includes screen sharing functionality, and you can sign up for free for additional functionality such as locking rooms. I don’t know if it could be integrated into a website right now, but you might want to drop the developers a line. I’m sure they’ll have an answer for you! I was following this post and when I activated the plugin WP chat on my site I got this message. BUT the plug in seems to be working as I have tested it. I have raised a ticket. Based on your review I checked out this plugin. I agree with others the paid version is needed for a lot of the features. So I purchased the Pro version. I got my payment confirmation from PayPal but nothing from the plugin folks. I’ve sent multiple emails, no response. I even sent a message via their (off-line) chat box. Still no reply. I also find it interesting that their chat box is ALWAYS off-line. This seemed odd since that is what they are selling. Thanks, I am working from Zambia, Africa where internet and even electricity is not always aviable. Is it possible to switch between Chat and for example the Bloom popup to capther contact details when we are not oline? And is it possible (like in Bloom) to popup after x seconds? It’s bit tricky to add live chat in WordPress without slowing down the website as i own number of blogs where I write reviews and having live chat can be good and will help me gain more sales, but whenever i have tried, the site goes very slow. So, is there any way, which can help use live chat without compromising on loading? Looking for a quick response.